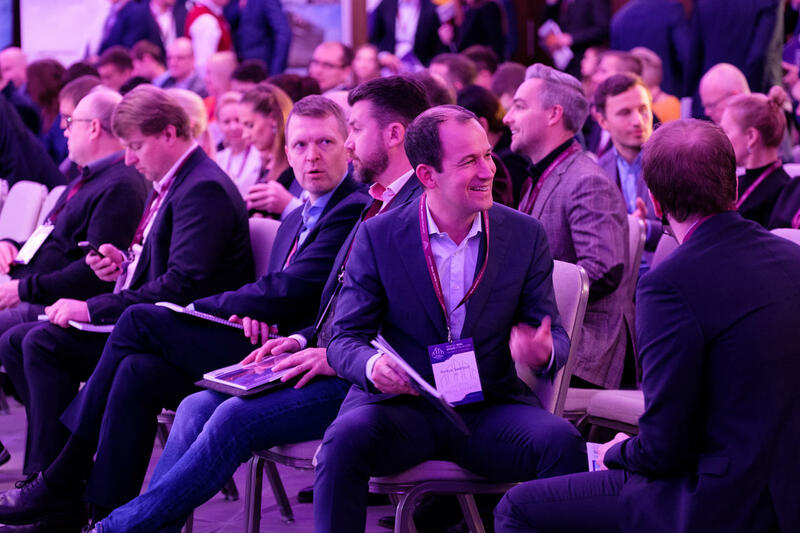 For 15 years we have held the largest real estate conference in the Baltics. During this time, we have hosted more than 4,000 participants and 450 speakers from over 15 countries. Forum 2018! 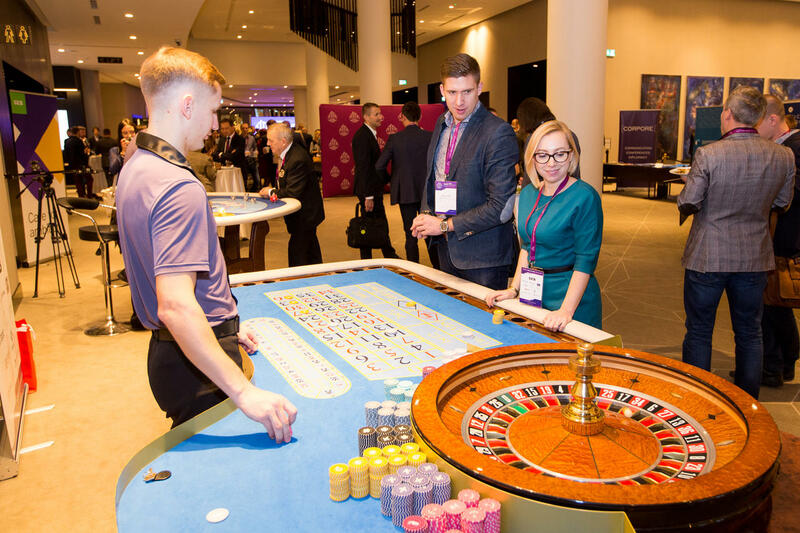 This year, you can expect decision makers and business leaders from Europe, Nordics, Baltics and Asia. Join us now and be a part of the discussion how to shape the Future of Real Estate in the region. Set in the heart of Estonia’s capital city, luxurious and modern Hilton Tallinn Park is located on the eastern side of quiet and recently renovated park. Seng Kwong is currently championing the REDAS Developer-centric BIM Initiative to create awareness, assist adoption and implementation to encourage more real estate value chain companies to improve their productivity. He works closely with several key developers to champion the adoption of Developer-centric BIM implementation in Singapore to transform the industry. (3) The Certified Productivity and Innovation Manager Programme (CPIM) in May 2010, The SME QIANG 强 (Quality Initiatives to Assist, Nurture and Grow) programme in July 2011 and The Silver Productivity programme in October 2011 to improve the productivity of older workers. Prior to SMa, he was with SPRING Singapore doing enterprise development. He was the director in charge of implementing several national projects like Singapore Connect - first online directory and service in Singapore to link our SMEs to the world, EnterpriseOne - the first One-Stop SME platform which includes a portal, a call centre and a network of Enterprise Development Centres to better service the SME community, to name just a few. Commercial real estate professional. Comprehensive career in real estate business development at RAKLI years 2000-2014. Managing Director position in Finnish Council of Shopping Centers years 2006-2014. Vice President in shopping centre operations in Realprojekti 2014-2018 before Colliers. Management team member in Colliers International Finland. Mats Olausson was appointed as Senior Advisor to the Climate & Sustainable Financial Solutions team at SEB in February 2014. His primary responsibilities include raising the awareness about Green Bonds – a financial solution for institutional investors that was developed by SEB and the World Bank in 2007/08 - among issuers, investors, officials and the general public. Within the Climate & Sustainable Financial Solutions team, Mats is primarily responsible for the Nordics and the Baltics and has provided structural advice to numerous green bond issuers within various sectors. Mats is also project manager for SEB’s Strategic Alliance with GIZ to promote the development of robust Green Bond markets in G20 Emerging Economies. Before 2014, Mats was Chief Strategist for Emerging Markets at SEB from 2000 and prior to that he worked for UNDP in Bolivia and at SIDA. Mats has a Bachelor of Social Science with a major in Economics (coupled with Development Studies and Spanish) from the Stockholm University. 17 years of professional experience, including 14 years - in the consulting business. 1999: the Russian management company VMB-Trust, promoted from analyst to manager of business centers and Head of Research and Consulting. 2006-2007: heading the strategic consulting in Knight Frank St.Petersburg company. 2008: Jones Lang LaSalle Russia & CIS at the position of Deputy Director of Strategic Consulting. 2013: was appointed as Managing Director of Colliers International St. Petersburg. The terms of reference include strategic business development, management of all internal departments Colliers International St. Petersburg and cooperation with key Russian and foreign partners. As Head of Sustainability at Vasakronan, Anna Denell has overall responsibility for the company’s sustainability strategy. Anna began her career in the property industry in the mid 90’s and joined Vasakronan in 1999. Since then she has held various positions including that of Head of Business Unit, Stockholm. Anna received her master’s degree in civil engineering from the Royal Institute of Technology in Stockholm in 1995. As Head of Sustainability at Vasakronan, Anna’s been part of transforming the Swedish property industry, where Vasakronan is now considered the industry leader, also including playing a key role in founding a Green Building Council in Sweden, introducing green leases to the Swedish market and issuing the world’s first corporate green bond in November 2013. As Head of sustainability, she has also been given the opportunity to engage in how to combat the environmental threats facing humanity without infringing upon company’s profitability and people’s wellbeing. Anna is a well-known presenter and lecturer both in the Swedish property industry and in various universities and institutions in Sweden. In March 2013, Anna was appointed “the Stockholmer” of the month, for her contributions to a more sustainable society. In October 2015, she was appointed “person of the year in the built environment” by the organization “Samhällsbyggarna” (Swedish professionals for the built environment) and in April 2018, she was awarded Greenbuild Europe Leadership Award. Four the last four years Anna has also been appointed “One of Sweden’s 100 most powerful environmentalists”. Viljar Arakas (born 1979) is a founding member and a member of the board of EfTEN Capital AS, and also a member of the board of EfTEN Kinnisvarafond AS, EfTEN Kinnisvarafond II AS and EfTEN Real Estate Fund III AS. Before putting together the team of EfTEN Capital he was the chairman of the board of Arco Vara AS. Viljar holds a master's degree in economics from Estonian Business School. Ben Harvey is an experienced facilitator, trainer and executive coach working under his own brand, Growing Talent. He specialises in the area of leadership & management development and works with a wide range of clients across Europe. 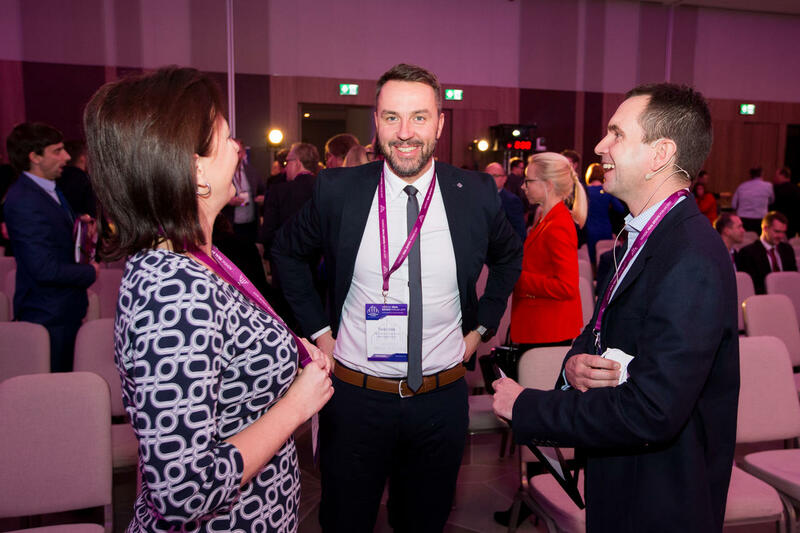 Ben has been based in Vilnius for over twenty years, first arriving as an employee of PricewaterhouseCoopers before starting his own business in 2005. While he is not a Real Estate professional, Ben is quickly learning about the market in Vilnius as he attempts to sell his apartment. Kristi Hakkaja, CEO and founder of Moderan Solutions has worked with real estate companies and B2B software for years, with deep insights into the pains and benefits of both sides. Kristi and her team are building Moderan online software for real estate lease agreements management and asset reporting. We bring the benefits of automated reporting and lease management to every company that manages real estate, so they have more time for tenants and customers. Indrek Hääl is responsible for managing all BPT teams and developing the business operations. He got his start in real estate in 1999 and joined BPT in 2005. He has been responsible for building up the BPT Real Estate Group and for actively advising on and carrying out real estate investments through licensed investment funds. He has thorough knowledge of the real estate markets in the Baltics, Poland and Scandinavia and manages international client relations. He is a graduate of Tallinn University of Technology and holds real estate accreditation from RICS. Currently he is also the board member of the RICS Baltic organization and a board member of the Baltic Institute of Corporate Governance. Aavo Kokk is from 2008 Managing Partner of Catella Corporate Finance in Estonia. 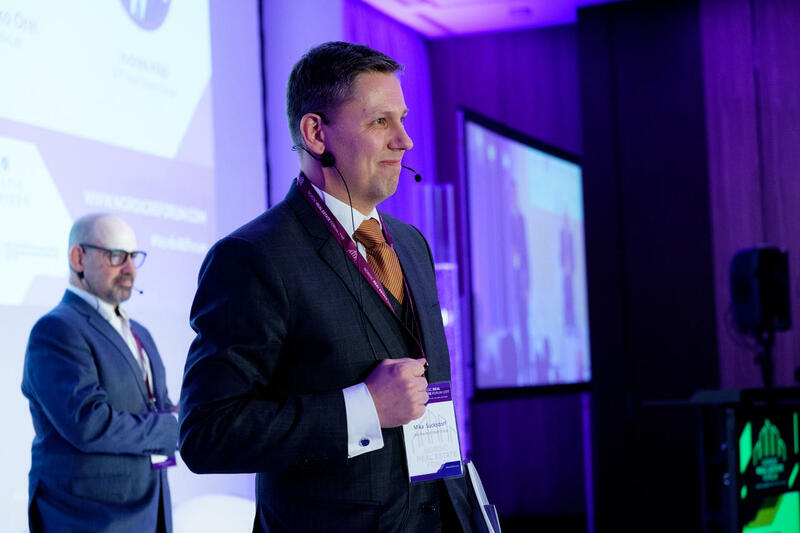 Earlier Aavo has been Editor in Chief of Eesti Ekpress weekly paper, Publisher and CEO of Eesti Päevaleht Newspaper Group, Board Member of Estonian Savings Bank and Head of Taxation Deportment in the Ministry of Finance. Aavo is Supervisory Counclil member of a number of large companies who act in media-, education-, forestry-, and food production industries. Aavo has also wrote several best-selling books. Tarmo Karotam is the Chairman of the Management Board of Northern Horizon Capital AS. He has been a long-time member of Northern Horizon Capital investment management team and in real estate since 2006. He has been the Fund Manager of BOF (Baltic Opportunity Fund) from its beginning. Tarmo Karotam graduated from Eçole Hôtelière de Lausanne (B.Sc. in Hospitality Management & Corporate Finance) in 2005 and is a member of RICS (MRICS). Madis joined East Capital in 2008 and is the CEO of East Capital Baltics AS, the management company of East Capital’s real estate funds. He was previously the CEO of AVEC Asset Management, East Capital’s joint venture with Arco Real Estate. Madis has more than 17 years of experience in banking, corporate finance and investment management. Madis holds BSc in Business Administration from Tallinn Technical University. He speaks Estonian, English and Russian. Santa is the managing partner in CBRE Baltics. Santa is responsible for building and expanding the teams of real estate advisory and transaction professionals in Latvia, Lithuania and Estonia with aim to support occupiers, developers and investors in the region. During the years in the management board of CBRE Baltics, Santa’s particular focus has been on the management of commercial real estate and positioning strategies to keep up with the changing occupier demands and established investment targets. Prior to joining CBRE Baltics in 2011, Santa worked for Kristensen Properties A/S, TK Development A/S and EMCM (Euro Mall Centre Management). D. Dargis is a General Manager of EIKA since 2014. Before he has been heading the company's development department for six years and was responsible for the development of residential and commercial projects from concept development, formulation of the project tasks, sources of financing, and project management to the formation and implementation of the sales and leasing strategy. By joining the EIKA team, Domas worked at one of the largest real estate consulting and broker companies in the world, Cushman&Wakefield in London for three years. He acquired international experience in the development and management of shopping centres and in real estate fund management in this company. Domas finished Business Management studies at King‘s College London University in UK. Aastatel 2016–2017 oli Toomas Tõniste ASi EVR Cargo nõukogu esimees. Aastail 2008–2011 oli ta Riigimetsa Majandamise Keskuse nõukogu liige. Aastatel 2007–2015 kuulus Toomas Tõniste riigikogu XI ja XII koosseisu, olles majanduskomisjoni aseesimees. Aastatel 2002–2003 oli ta Tallinna linnavolikogu liige. Toomas Tõniste on olnud ka Viimsi vallavolikogu esimees ning aastatel 2006–2007 oli ta Tallinna linnavolikogu liige ning Isamaaliidu linnavolikogu fraktsiooni esimees. Toomas Tõniste oli aastatel 2005–2017 osaühingu Laste Maailm juhatuse esimees, aastatel 1996–2017 osaühingu Breting juhatuse liige ning aastatel 1993–2017 aktsiaseltsi LTT nõukogu liige. Andres Trink is the CEO of Merko Ehitus, a leading construction and real estate company in the Baltic region, since 2012. Before joining Merko he worked in the financial sector, including as a board member of Swedbank Baltic Banking. Andres has also worked at the Estonian central bank and was the founding chairman of the board of the Estonian Financial Supervision Authority. He has also worked in the investment industry and is currently a non-executive supervisory council member at Swedbank Investment Funds. Giraffe360 is highlighted as one of top 25 prop tech startup in Europe in 2018. Mikus Opelts is also a winner of Swedish business and German business awards in Baltic. Listed on Forbes Latvia 30 Under 30. Richard heads EMEA Occupier Research at CBRE. His role is to develop and refine CBRE’s research agenda in this area through market analysis, client briefings and consultancy. Richard is also responsible for the flagship European Occupier Survey. Over the previous four years he led the development of CBRE’s research coverage of the European logistics markets. He holds Masters qualifications in Urban & Regional Planning and Property Investment. Paul is the creator and co-founder of SMARTkontroll. In 2018 Paul and his team won the ”best digital idea in commercial property management” arranged by the Baltic Horizon Fund. As well as developing SMARTkontroll, Paul is also a property management consultant. He has over 20 years of experience working in property management and has a unique insight in how the area looks right now and what has to be done to meet the demands of the future. Ludovico joined ZHA in 2008. He has held key roles in a variety of projects and commissioned competition designs throughout Europe. He has detailed experience with international design team management, heritage response and integration, and major project delivery, including additional experience designing and delivering major urban projects in Asia and Australia. He is now leading acquisitions & projects in the Nordic, Scandinavian & Baltic regions. Ludovico has recently led the Väsby Entry ongoing mixed-use project, and the Linkoping Aquatics Centre and Gothenburg Tower commissioned competition designs. Ludovico is currently project associate for the Port of Tallinn regeneration project, where he holds a pivotal role in client and stakeholder liaison, and assisting the project director with overall design management and design team coordination. He was project architect from schematic stage to completion for the D’Leedon residential complex in Singapore (2014) and the Mariner’s Cove mixed-use scheme in Gold Coast, Australia. Ludovico has a master’s degree in architecture and urbanism from the Design Research Lab (DRL) at the Architectural Association in London. He previously studied with the Polytechnic University of Milan and with the University College London’s Bartlett School of Architecture. Peeter Koppel is a private banking strategist in SEB Estonia, asset manager and a columinst, whose speciality is commenting difficult economic concepts in a clear no-nonsense manner. Peeter’s career has lasted already for 20 years and has included positions like an analyst, portfolio manager and sercurities and forex dealer. Orbis & AccorHotels’ mission is to fully focus on development acceleration through management & franchise contracts in Central Eastern Europe. With almost 130 hotels under AccorHotels ‘ brands in 12 countries of the CEE and with more 40 hotel projects in the development pipeline, Orbis & AccorHotels is the leader of hospitality in this part of Europe. Jacek Stasikowski has been active in the hotel business for the last 25 years and has a unique knowledge about the hospitality segment in Poland & Baltic States – including a broad expertise in hotel investments, cooperation with international hotel brands, experience in operational hotel management and an open communication approach. Graduated from the University of Szczecin and with an MBA from Gdańska Fundacja Kształcenia Menadżerów, he speaks fluent English & Russian and he is passionate about marathons, triathlon and ironman events. The Olympia Group is a diversified financial company that manages several funds in a wide spectrum of financial instruments ranging from hedge funds to private equity and real estate. Prior to joining Olympia, Mr. Heuer had been a Partner in various US-based Hedge Funds like Graham Capital International or the Tudor Investment Group, that sponsored several Private Equity Ventures in Europe and Asia. Focused on distressed securities, he was responsible for originating, analyzing, structuring, executing and managing private equity investments. Prior to that, Mr. Heuer had been an Analyst at Moody’s Investors Service in New York, where he was in charge of rating European banks. He started his career in 1987 at Banque Nationale de Paris (BNP Paribas Group) in New York as a credit analyst. Sergio Heuer holds a BS in Business Administration from the Wharton School, University of Pennsylvania and a BS from the Electrical Engineering Department at the Temple University. Marilin Hein is a founding member and a CFO of EfTEN Capital AS. Before that she was group’s Chief Accountant of Arco Vara AS. Working in real estate during last 15 years, she has diverse experience in financial management in real estate and implementing best practice financial reporting and management supporting software in commercial real estate sector. Graduated from Audentes University, Marilin holds a degree in International Financial Management and has finished the Financial Manager Development Programme in Estonian Business School. Marilin has also been an audit committee member of LHV Group AS and is currently a supervisory board member and an audit committee member in a government-owned company Saarte Liinid AS. Petras Šeika is IT enthusiast and acts as an Innovation project manager at NEWSEC Baltics, mostly focusing on optimizing and improving internal processes to increase efficiency and productivity, minimizing risk of human error and looking for added value solutions within the company. 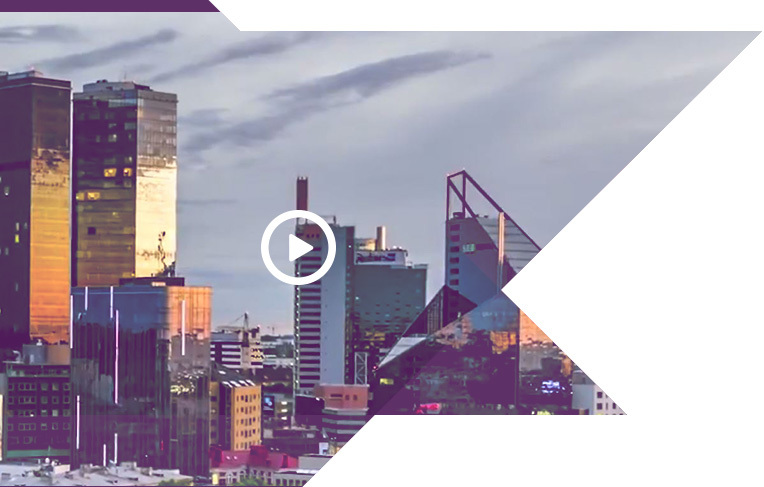 Petras has background in both Real Estate and IT industries, which he gained by working as B2B segment manager at BITE Lietuva and Analyst/Consultant at NEWSEC Baltics. 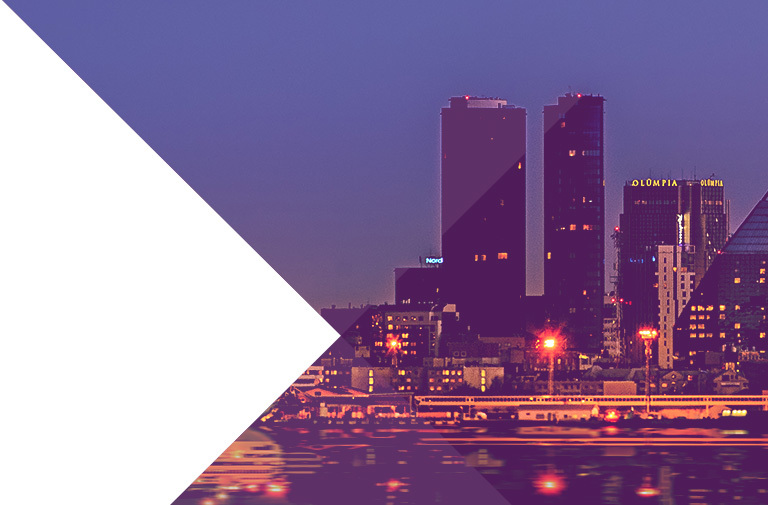 Petras is also a strong Proptech community supporter and is constantly looking for new solutions which can be used by Real Estate companies. 11.30-12.00 Green Financing of Real Estate - what, why, how? 14.30-15.15 Technology in Real Estate: What is PropTech and How it Changes the Future of Real Estate? *The organisers reserve the right to make changes to the programme. *The working language of Nordic Real Estate Forum is English. 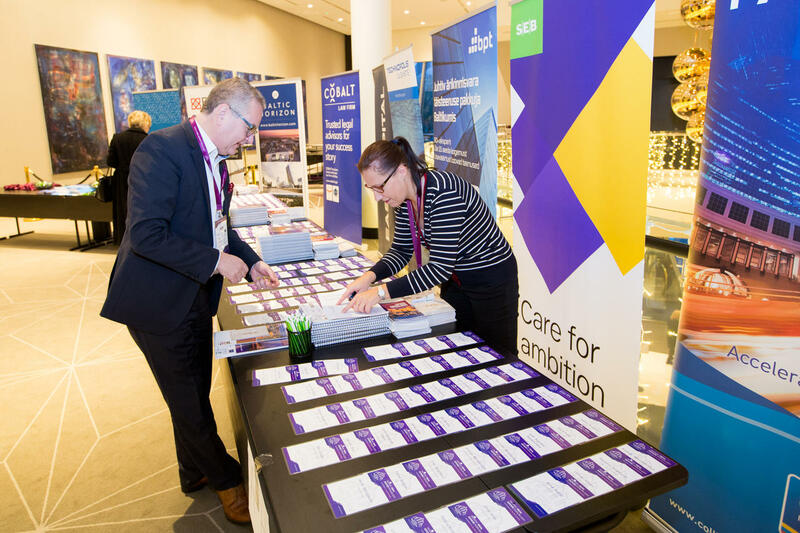 Fee includes: one-day programme, networking, forum materials, lunch and coffee breaks, evening coctail. 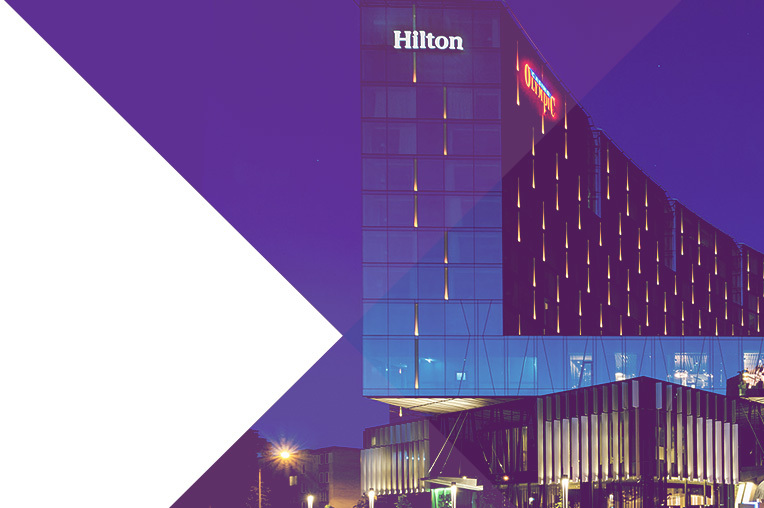 Corpore Conferences will issue an invoice after registration via e-mail! You will receive invoice via e-mail shortly. Special price starting from 125 EUR/night for single King Delux Room during 28.11-02.12.2018. Special price 119 EUR/night for single or double Standard Guest room during 28.11-30.12.2018. 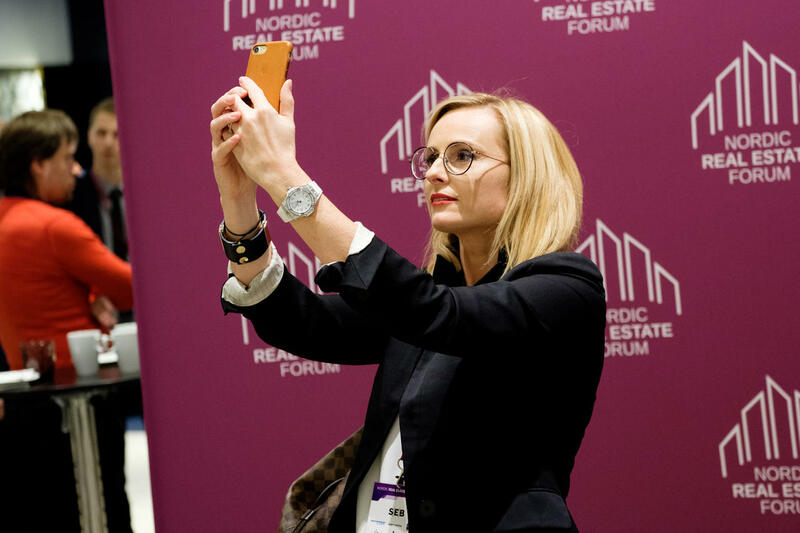 Promo code: Nordic Real Estate Forum 2018. Tallink offers for the guests of Nordic Real Estate Forum 2018 in Tallinn special rates for travelling from Helsinki or Stockholm. 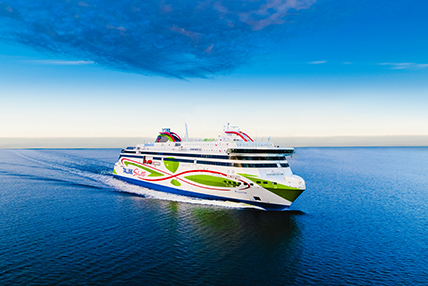 Tallink is the leading provider of high-quality mini-cruise and passenger transport services in the northern Baltic Sea region. Our customer value proposal is to offer an enjoyable travel experience that exceeds customer expectations and makes them want to return. 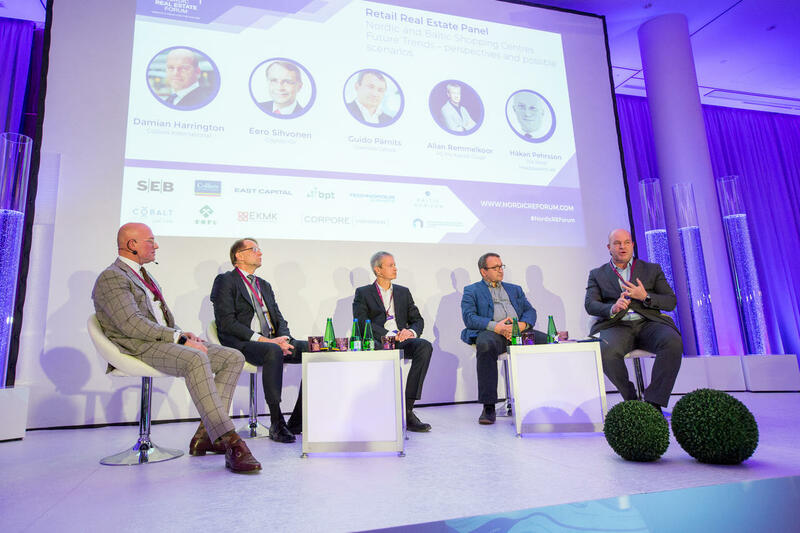 Corpore Conferences, Association of Real Estate Companies of Estonia, Estonian Association of Appraisers and Estonian Chamber of Real Estate Brokers.